It was supposed to be a test of Bangladesh's mettle and perseverance. Nine years ago, they arrived in the Rainbow Nation and returned home with two innings-defeats to their name. Nothing had changed since the 2002/03 tour, when they were handed a very similar thrashing. But this is 2017 and Bangladesh have asserted themselves among the big boys of Test cricket. They have victories against England, Sri Lanka and Australia in Tests in the recent past of which to boast. Even though all of those victories had come in subcontinental conditions, Bangladesh have a new-found belief about them. They are no longer the minnows that toured South Africa in 2008, fearing the worst. They are in South Africa to win, not to walk off smiling and pleased with themselves after a draw. 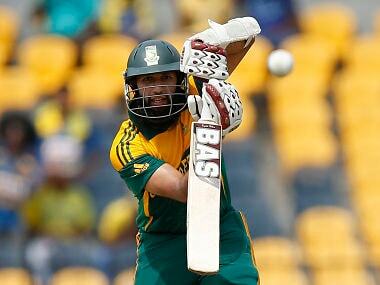 "Some people may think we don't have any chance against South Africa. But I don't agree with them. We don't have a very good record in South Africa. And very few of our players played in South Africa. Personally I think if you don't believe in yourself, you won't get any success. Firstly, we have to believe that it is possible for us to beat South Africa. We did not have this belief even three years ago. So we have now got the confidence. Hopefully this series will be a kind of landmark for us. And we are ready to take that challenge," skipper Mushfiqur Rahim had told reporters prior to the team's departure to South Africa. These were brave words from the skipper of a team that had only 10 Test victories to their name. Seven of their 10 Tests against the Proteas had ended in innings-defeats. They had nothing to bank on other than belief. However, there was the anticipation that Bangladesh would pull a rabbit out of the hat this time around. On a sunny, flat Potchefstroom wicket, on the first day of the first Test match, Mushfiqur won the toss and chose to bowl first. Why did he choose to bowl first on a wicket that had little live grass and appeared baked all over by the hot sun from above? 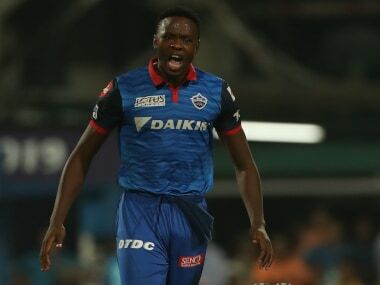 South African pacer Kagiso Rabada, in a chat a day before the game, had said, "Usually in franchise cricket, it’s a good wicket. It is good to bat and on and the outfield is extremely quick. There is still something in the wicket for the bowlers, but they are good batting conditions." 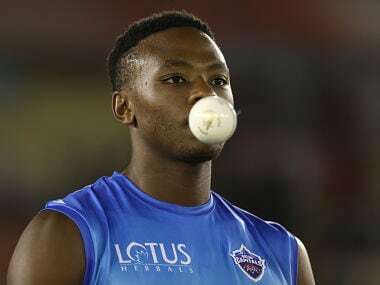 Rabada has two years of experience in international cricket, while Mushfiqur has 10. He isn't merely leading a team of 15 in South Africa. He is out there representing 160-odd million people in Bangladesh, most of whom expect to see their nation avenge the embarrassing losses of 2002 and 2008. "Any captain would decide to bowl first in South Africa, so there isn't anything to add," Sabbir Rahman had told the media after the first day of the Test. However, it only further highlighted that Bangladesh had done little homework. In the last 24 Test matches in the country, only nine times has a captain winning the toss opted to bowl first. Despite all the botched analysis, things could still have gone right for Bangladesh given that the overhead conditions and early juice in the wicket aided the seam bowlers. Shafiul Islam swerved some into the right-handed debutant Aiden Markram, while Mustafizur Rehman aka 'Fizz' brought the cherry back into the southpaw Dean Elgar. Bangladesh weren't asking a lot of questions, but were tidy in the first five overs. And then, in the sixth over, Mushfiqur brought on Mehidy Hasan Miraz — an off-spinner. Despite the ball moving around a bit and the conditions favouring pace bowlers, Mushfiqur went to Mehidy as early as the sixth over, a tactic so strange that it's likely even he won't be able to explain it after the match. Arguably, the wind coming from the Senwes End meant that Mehidy would get some drift into the left-hander. But even by a vast stretch of one's imagination, there is little justification for a spinner being brought into the attack so early in the first innings of a Test in South Africa. Mushfiqur soon brought on Taskin Ahmed, among the quickest of the Bangladeshi seamers and someone expected to hustle the Proteas batsmen with his pace. None of that happened as his lines faltered and lengths went awry. Markram and Elgar appeared quite comfortable at the crease with boundary balls coming thick and fast. The fast bowlers weren't encouraged to attack either. Mushfiqur had a rather defensive field in place right from the word go and even sent back mid-wicket and square-leg by the 10th over with Mustafizur expected to hurry Markram into the hook. None of that happened either, as Mustafizur stuck to his line outside the off-stump. Bizarrely, the field didn't change either. As South Africa closed in on 100, Taskin was brought back into the attack and given a slip and a leg slip. Why would you have a leg-slip for a pacer so early in a Test match when you can conveniently attack the fourth stump with an additional slip on the off-side? Taskin was forced to bowl a leg stump line to the left-handed Elgar, who has a rare habit of swivelling too early on the pull and mistiming it. But then he isn't 2017’s highest run-scorer in Tests for nothing. The left-handed Titans opener is a steely beast in this format of the game. Conning him with a leg-slip in the expectation that he would mishit one of the pull shots is a downright awful tactic. Unsurprisingly, he ended the first day with 128 to his name. Markram made 97 before a moment of madness while running between the wickets saw him miss out on a deserved debut hundred. Bangladesh collected just one wicket in the day. Their bowlers managed none. Tactical nous is something captains learn on the go with international cricket experience. But with nearly six years at the helm of the national side, Mushfiqur seems to have learned little. The last four times Bangladesh opted to bowl first after winning the toss, they suffered humiliating defeats. With the dry conditions on offer and the pitch expected to take turn later in the Test, Mushfiqur's decision to bowl first and bat last on a crumbling wicket is beyond comprehension. To follow a blunder of such massive magnitudes with a slew of other poor decisions on the field is criminal to say the least. They could yet redeem themselves at Senwes Park or even go on to win the Test, but the logic behind Mushfiqur's freakish decisions on the first day need to questioned. The Bangladesh think-tank has some serious thinking to do after a day of bungles at the office.